2019 Lexus RX Trim Levels with Comparisons & Configurations. What 2019 Lexus RX Trim Level Should you Buy? What is the Difference Between Trims? Over the years, the Lexus RX has continued to impress with its class-leading reliability and luxurious interior. Not only does the NX prove to be an ideal vehicle for daily commuting, but it’s also perfect for taking weekend road trips. This midsize crossover's poised driving dynamics will inspire a great deal of confidence. While no upgrades were made to the 2019 model, it still stacks up well against the competition. Unlike some of its rivals, the new 2019 Lexus RX only gives you a few main trims to choose from. However, a lot of optional features are available. Let’s see what differs between the available RX trims. 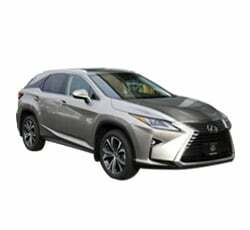 Compare the 2019 Lexus RX 350 Base vs RX 350L Trim Levels. What is the difference? This isn’t your typical base model. It’s actually quite luxurious. A strong V6 engine gives the base RX 350 plenty of get-up-and-go. Lexus rates this proven engine to develop a beefy 295 horsepower and 267 pound-feet of torque. An eight-speed automatic transmission helps the RX 350 to feel even more capable. Drive Mode Select enables you to adjust the SUV’s steering and engine responsiveness. While the standard FWD system allows you to conserve just a tad more fuel, an optional AWD system is available for the drivers who’ll need a surefooted winter vehicle. Meanwhile, the available towing package upgrades the RX 350’s cooling system. 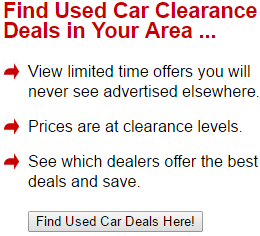 You’ll also find the base Lexus RX 350 to have an attractive appearance. A nice set of 18-inch alloy wheels and automatic LED headlights come standard. Rear privacy glass helps conceal valuables and keep sunlight out of the cabin. Some of the available exterior colors include Eminent White, Matador Red, and Nebula Gray Pearl. If you decide to get the base RX 350, you won’t have to worry about paying extra for advanced safety technologies. It comes standard with a Safety System+ package. Smart cruise control, pre-collision warning with active braking and lane departure intervention are all included in the package. A backup camera with dynamic guidelines assists with parking. You’ll also benefit from a Safety Connect emergency communications, which can send roadside assistance by tracking your GPS location. Blind-spot monitoring with rear cross-traffic alert and adaptive headlights are the key safety upgrades. Buyers can choose between an optional panoramic-view backup camera and a 360-degree parking camera. When you climb inside the base Lexus RX 350, expect to be impressed by the top-notch quality of its interior. Although genuine leather does not come standard, Lexus’ NuLuxe seating material looks also as luxurious. Power-adjustable front seats and a power-adjustable steering wheel enable you to experience good comfort. Some of the other standout features include a touch-free power tailgate, dual-zone automatic climate control, and rear cargo cover. There are enough high-tech features inside the base 2019 Lexus RX 350 to keep you more than satisfied. While Apple CarPlay and Android Auto are not available, your smartphone can still be linked to the standard 8.0-inch touch screen via a Lexus Enform App suite. Meanwhile, a nine-speaker sound system handles the task of providing your music. Other standard tech includes Bluetooth streaming, two USB ports, smartphone-integrated navigation, and keyless entry. An optional Premium package is available on the base Lexus RX 350. It equips the RX 350 with some additional niceties. While leather upholstery and wood accents give the cabin a more upscale character, driver-seat memory functions help save time and effort. A rear armrest storage compartment and auto-dimming side mirrors also come in the Premium package. Adding the optional Navigation package gets you a stunning 12.3-inch display with a navigation. An in-dash DVD player and a 12-speaker sound system are included. A 15-speaker Mark Levinson premium surround-sound system can also be bundled with the Navigation package. Stand-alone options consist of heated/ventilated leather seats and a color heads-up display. 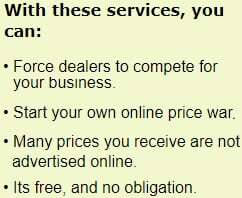 You have access to a Luxury package as well, which is an extra $4,235. Aside from equipping the base RX 350 with a more stylish set of 20-inch alloy wheels, it also provides plush features like perforated leather seats and a heated steering wheel. Four-way lumbar adjustment for the front seats seeks to provide a more relaxing ride. Because this package is so expensive, think twice before deciding to add it. Although the Lexus RX 350L shares many similarities with the base RX, this long-wheelbase model adds a third-row seat. It’s a perfect match for growing families. The SUV’s passenger capacity increases to seven people. You will also enjoy a few key upgrades. Tri-zone climate control and genuine leather upholstery come standard. Most of the same options are offered on the RX 350L. However, second-row captain’s chairs are available exclusively on the RX 350L. Compare the 2019 RX 350L vs RX 350 F Sport Trims. What is the difference? An extended-wheelbase version of the RX350 F-Sport is not available. This trim is geared toward the drivers who prefer a bit more sportiness. While the RX350 F-Sport does not come equipped with a more potent engine, it does benefit from some exciting performance goodies. While adaptive suspension dampers and performance tires promote more dynamic handling, an engine sound enhancer adds to the F-Sport trim’s driving fun. Transmission paddle shifters allow you to manually sort through the gears. A special Sport S+ mode brings more thrills to your drive. To further separate the RX 350 F-Sport from the regular RX 350 and RX 350L models, Lexus gave it some exclusive exterior treatments. It definitely has a more aggressive attitude. When checking on the RX 350 F-Sport, expect its signature mesh grille and underbody spoiler to immediately stand out. You’ll also like the RX 350 F-Sport’s 20-inch Dark Graphite alloy wheels, which accentuate the SUV’s lower stance. Integrated exhaust tips and a rear diffuser give the power-looking RX 350 F-Sport the finishing touches. Lexus allows you to swap out the standard FWD system for all-wheel drive. On the inside, you’ll find even more sporty touches. The digital performance gauges definitely help trigger a sense of driving excitement. You’ll be able to easily access real-time performance data and navigation directions. Heated and ventilated sport seats provide the necessary comfort. Some of the other race-inspire upgrades include aluminum pedals and an exclusive F-Sport steering wheel. Premium features, such as the 15-speaker Mark Levinson premium surround-sound system and blind-spot monitoring, must be purchased desperately. You can also add the available Navigation packages. If you desire one of today’s most dependable and comfortable luxury crossovers, take a serious look at the base RX 350. It hits the right mark in several categories. For $43,570, you’ll be getting plenty of premium features. Not only are the base RX 350’s interior materials impressive, but you will also enjoy nice features like a nine-speaker sound system with satellite radio and a multimedia system. Furthermore, a standard Lexus Safety System+ provides in-demand safety technologies. While the available options are nice, some will cause the SUV’s total cost to balloon. Of the available stand-alone upgrades, blind-spot monitoring is the most beneficial. Stepping up to the extended-wheelbase RX 350L gets you a third row, which enables up to seven people to climb aboard. However, most adults riding in the backseat will be cramped for space. Only get this trim if you need to accommodate a couple more kids. Some reviewers consider the RX 350 F-Sport to be the best trim in the lineup. It’s more entertaining to drive, loaded with nice features, and has a striking appearance. You’ll find the heated and ventilated sport seats to be extremely pleasing. 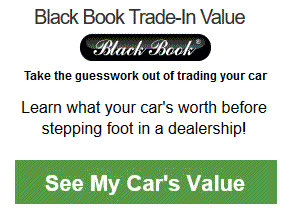 Most buyers will not feel the need to load the SUV with optional equipment. Without options added, the RX 350 F-Sport will cost around $49,200. However, adding all-wheel drive will take you over the $50,000 mark. As previously mentioned, the 2019 Lexus RX 350 does not offer Android Auto and Apple CarPlay. While these popular features will be greatly missed by some buyers, you can integrate your phone using the Lexus Enform App suit. Popular apps, like Facebook Places and Pandora, are already included. You’ll find the upgraded 12.3-inch navigation display to be especially nice. It seems the main downfall of Lexus’ infotainment system is its Remote Touch controller, which is placed along the center console. Some drivers find it to be a big source of frustration. Lexus gets an “A+” for its available audio systems. Even the standard nine-speaker unit will keep music listeners rocking throughout the day. However, the 15-speaker Mark Levinson sound system is amazing. Regardless of which type of music you prefer, expect it to sound phenomenal. Unfortunately, this range-topping audio system is a costly upgrade. Remember, a less expensive 12-speaker system is available as well. Lexus offers a good number of driver-assisting safety technologies. The standard Lexus Safety System+ package is a valuable perk. You’ll appreciate safety innovations like pre-collision braking and lane-keep assist. Optional blind-spot monitoring is certainly worth the extra money. While the standard backup camera features dynamic guidelines for easier maneuverability in tight spots, drivers will enjoy even better visibility with the 360-degree parking camera. Once you experience the Lexus RX 350’s optional color head-up display, you’ll see why it’s such a highly recommended feature.